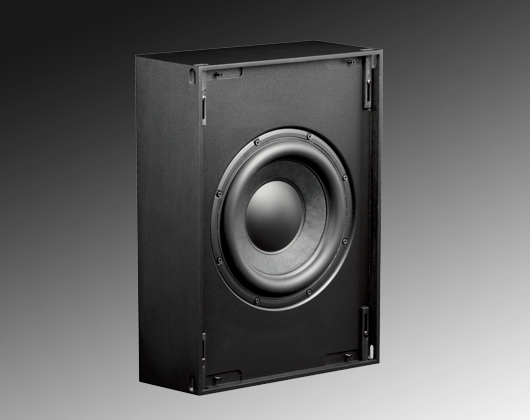 The workhorse of Triad’s custom subwoofer line has been dramatically improved. 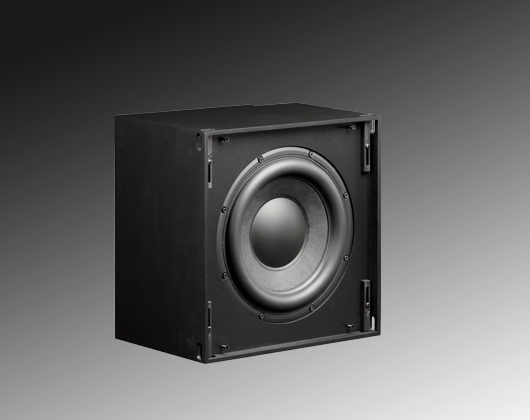 In an otherwise all-new subwoofer lineup, we have maintained the same excellent long-throw 10″ driver and enclosure, but switched to the new RackAmp 300 which delivers more power than its predecessor for even more output and headroom than before. 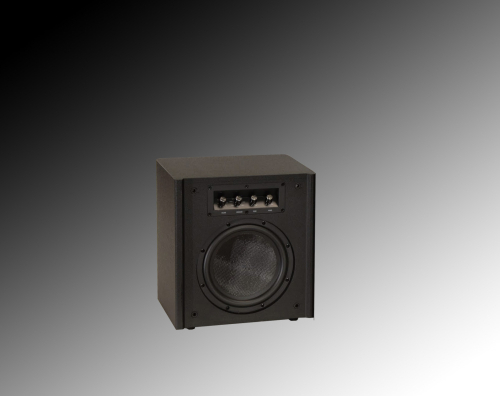 The new amp provides simple”plug-and-play,” and EZ set-up. 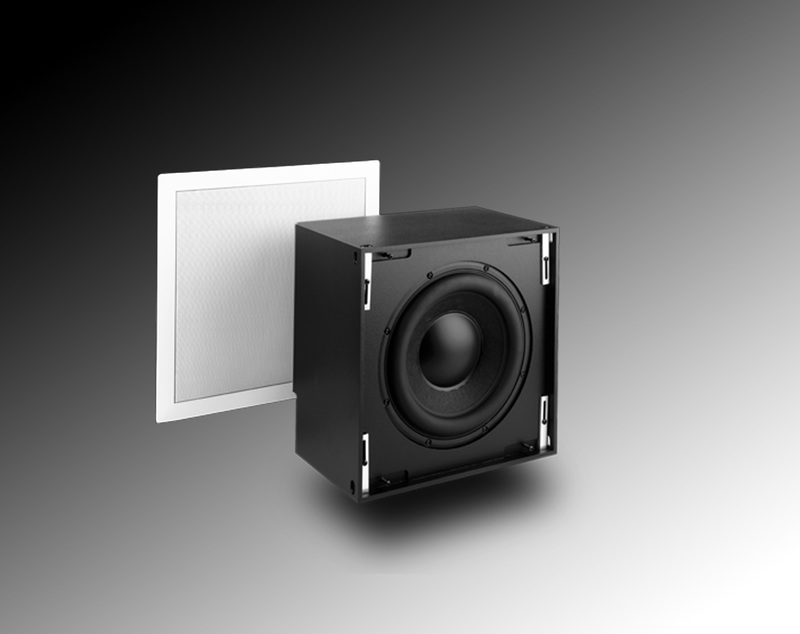 You can have great performance right out of the box in nearly any room. 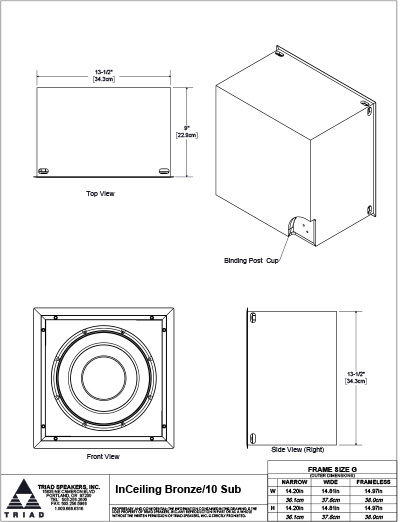 Because this subwoofer is almost exclusively used for ceiling installation, we have also changed the name from InWall to InCeiling. 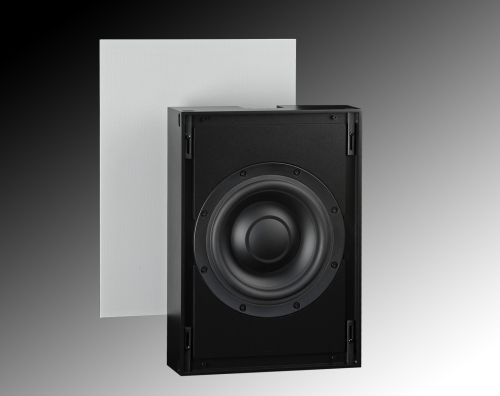 The G-size grill is the same as many other Triad InCeiling speakers, allowing for a clean, consistent look. 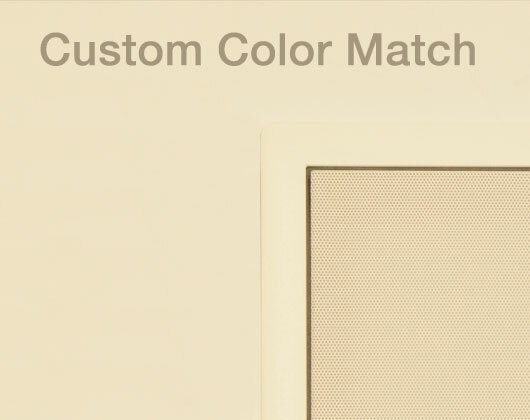 And we build all Triad speakers to order, and offer custom paint matching to the paint sample or paint number that you supply. 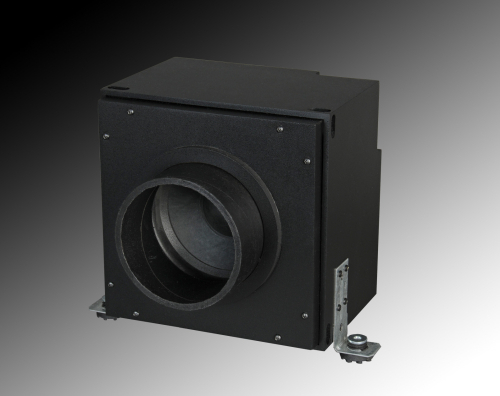 The InCeiling Bronze/10 Sub may be used in multiples, each with its own amplifier, in home theater applications. 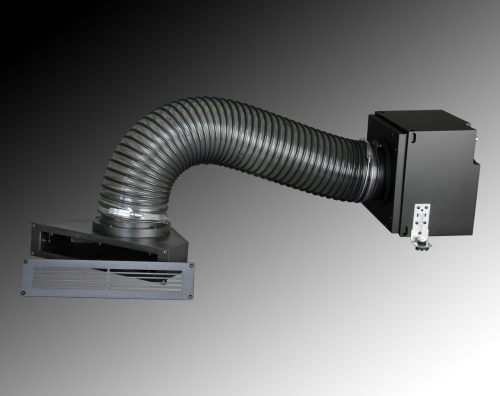 We know of one installation that uses sixteen of them! 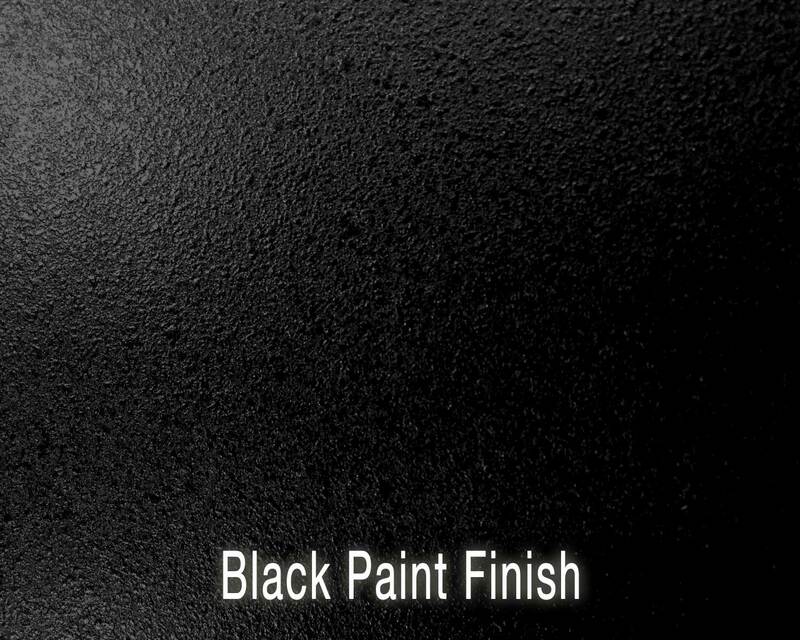 Or, a single Bronze/10 may be used for a den, bedroom, guest room, family room, or office. At low listening levels or for background, a discretely placed InCeiling Bronze/10 Sub adds fullness and warmth, and at higher levels, it adds dynamics and weight. 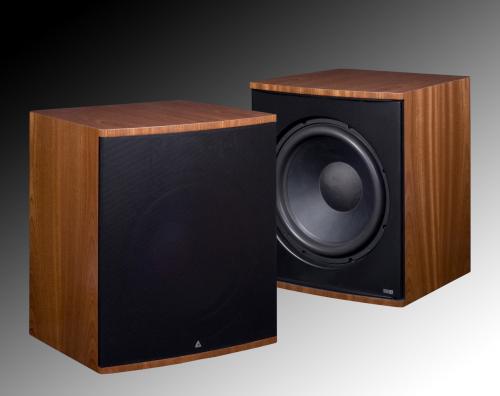 Other custom versions of the Bronze Sub include the InWall Bronze/4 Sub and the InWall Bronze/6 Sub. 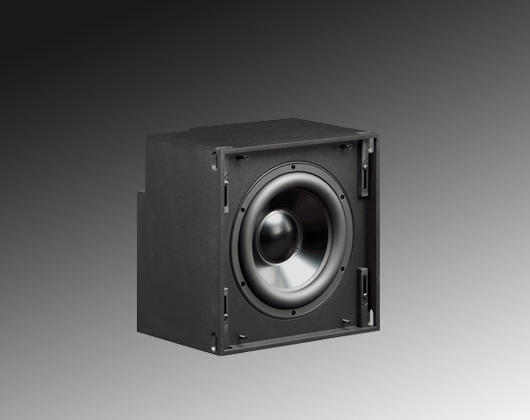 Subwoofer ships standard with a 4 ohm driver. 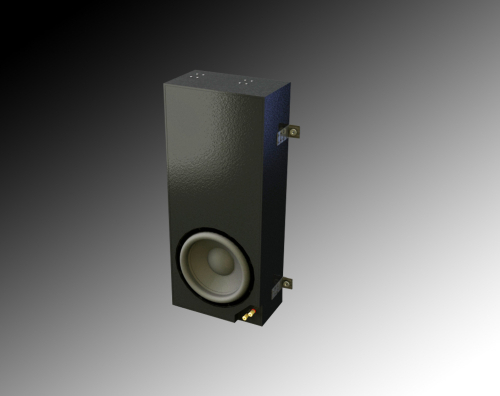 This product can be special order with a 8 ohm driver so two (2) subwoofers can be run off a single amplifier. Amplifier: Rack (1 space- in the rack or on the shelf) mountable 300 watt RackAmp. 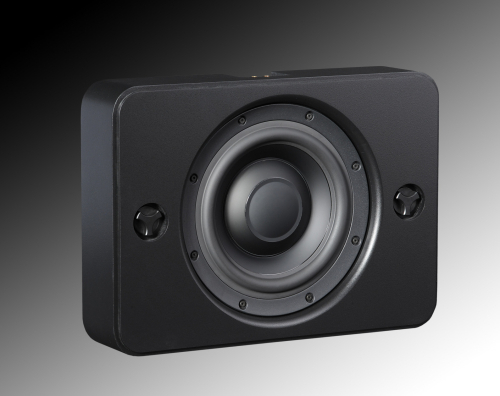 • Compact & efficient – Only 10” deep; Rack friendly (ears included). • Three user selectable Product Preset Modes. (Mini, Bronze, Flex). 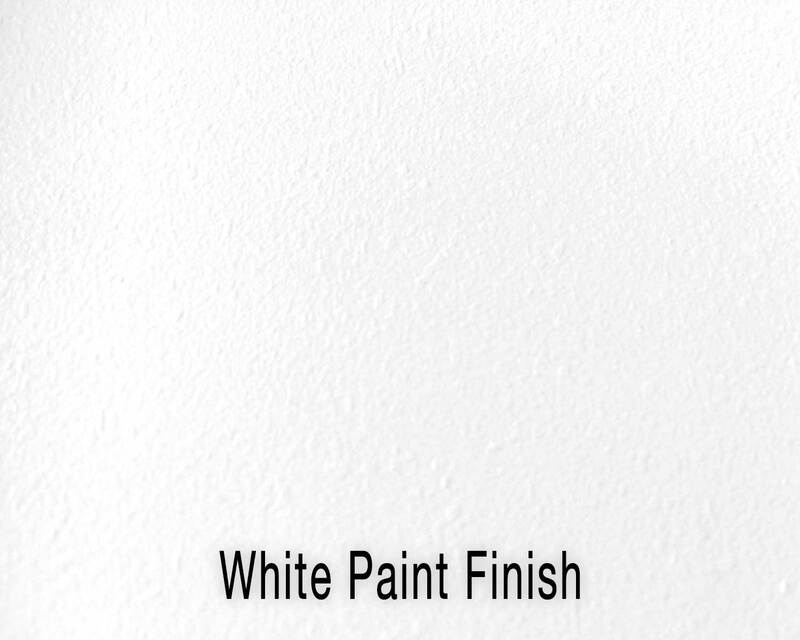 W: 14 15/16" x H: 14 15/16"
W: 14.97" x H: 14.97"